I’m personally convinced that local churches are best governed by the plurality of Pastors/Elders/Oveseers (yes, these are synonymous terms in the Bible). This means that I’m an advocate of having a team of qualified people serving together for the purpose of training, building up, and ministering to the church. This group does not do all the ministry but is called to train the church to participate in the things of the kingdom (Eph. 4:11-14). I also see the second “office” of the local church being Deacons, but that’s for another post in the future. Anyway, while I realize that there are other options and good people disagree, this is, in my estimation, the most healthy and effective way to serve and lead the church, when it is done right. I qualify this model because it isn’t always done very well and a lot of misunderstandings and bad assumptions under gird the way that some churches attempt to embrace it. #5 – Perspectives on Church Government: Five Views of Church Polity. As with all of the other “multiple views” books out there, this one allows five different scholars to offer an essay on their representative model. This includes the “single pastor congregational model,” the “democratic congregational model,” the “Presbyterian model,” the “plurality of elders congregational model,” and the “Episcopalian model.” In my opinion, as you probably already recognize, James White’s essay on the “Plurality Elder-led Congregational Model” is most convincing. However, it’s good to have an understanding of the other perspectives and equally helpful to have their advocates interact with the views that you hold. We all have blinders and see through a mirror dimly, right? Interestingly, the “corporate business world model” that many churches embrace is entirely missing from the list of options. Perhaps that’s because so little biblical reflection is involved in those models? I’m not sure, but I find that interesting. At any rate, this is a great place to begin. 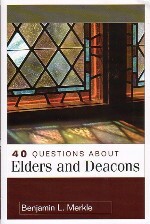 #4 – 40 Questions about Elders and Deacons. I’m a huge fan of the “40 Questions” series that Kregal puts out. This is no exception. The author, Benjamin Merkle, provides a helpful introduction to the subject by interacting with the biblical data as well as providing answers to practical questions, such as whether or not a pastor must be married (he says no) or whether a church should use the titles “elder” and “deacon” (he says yes, although I disagree). The bottom line is that this book is extremely readable, so it’s a great start for non-scholars. For those interested in knowing more about Elders and Deacons and how local churches should be governed, this is your book. 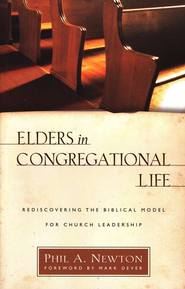 #3 – Elders in Congregational Life: Rediscovering the Biblical Model for Church Leadership. This was extremely helpful for me in transitioning our church from a “single elder” model to the plurality of pastors. It has three parts, the first focusing on why churches should have elders, the second focusing on the biblical data, and the third focusing on moving from theory to praxis. If you are a church leader and are interested in transitioning your church in this area, this is the best resource I know (Aubrey Malphurs’ Look Before You Lead is also helpful!). The author, Phil Newton, actually gives some good advice on when not to transition a church to a plurality of pastors too, and his reasoning is very good (you’ll need to get the book to understand how I can say I believe churches should be governed by the plurality of elders while also thinking there are times not to do that!). # 2 – Biblical Eldership. This is the standard book on the subject, written by Alexander Strauch. It is the most comprehensive and makes the strongest case for the plurality of pastors that I’ve ever read. I lays out the qualifications for biblical eldership, makes a robust defense for it, interacts with and provides thorough exegesis of the biblical data, and offers some advice in the some of the practical issues (e.g., ordination, the relationship between the elders and the congregation, etc.). If you are a pastor and you don’t own this book, shame on you. Okay, that’s a little harsh. Let me try again. If you are a pastor, you should get this book. Some will differ with his thoughts on women in ministry (Strauch is a Complementarian), but it’s an influential book because it’s fantastic. 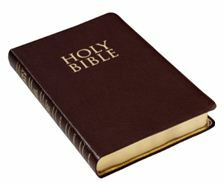 #1 – The Bible. “Ha ha, Luke. You’re just talking about your interpretation of the Bible here.” Not really. Yes, this is a little tongue in cheek, but I believe it would be good for churches, pastors, church boards, leadership teams, etc. to return to the Bible and be more reflective in how they develop their church polity. I meet pastor after pastor who tells me of their politics woes. Turning to Scripture is the first place we should turn to when consider a Christian model for church leadership. And it should never be simply going through the motions. There you have it. What would you recommend?